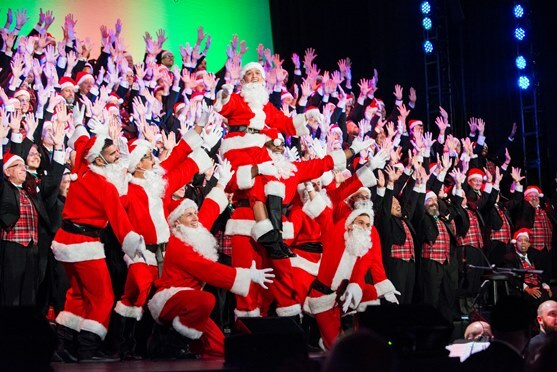 No one does holidays better than the San Francisco Gay Men’s Chorus. This will be the 28th year the chorus has traveled north at the holidays to benefit Face 2 Face. The chorus is not only bringing 150 handsome men, but will be accompanied on the journey by a fabulous brass quintet and the amazing coloratura soprano, Marnie Breckenridge. With that combination, there will definitely be a lot of brass and sass, from classical to swing. The chorus will sing and dance its way into your hearts with some zany holiday antics – and welcome you home by wrapping you in your favorite holiday carols and traditions.